Roadside PBT breath testing is routinely attempted by police in Virginia DUI/DWI prosecutions. As a Fairfax criminal lawyer, I pounce on such evidence. 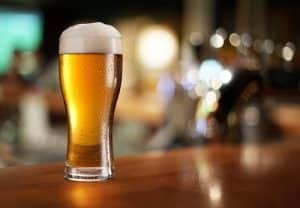 Many — but, unfortunately, not all — Virginia judges sufficiently follow the dictates of Virginia Code § 18.2-267, which bars the preliminary/portable breath testing (“PBT”) evidence in DUI cases other than for suppression motion hearings, and bars such evidence at a suppression hearing where the following three conditions of § 18.2-267 are not met: (1) The police officer must tell the suspect that s/he has the right to refuse the PBT test; (2) the police officer must advise the suspect that the results of the PBT test “shall not be admitted into evidence in any prosecution for an offense listed in subsection,” and (3) the PBT test must be performed with equipment determined by the Virginia Department of Forensic Science. Some judges ask me during my proceedings, whether Va. Code § 18.2-267 really only applies to trials rather than suppression motions. I respond to the negative, in that Va. Code § 18.2-267 only makes PBT evidence eligible to be considered at DWI suppression hearings, and not at trial. A prosecutor recently told a judge that the 2013 Stacy v. Virginia appellate opinion (22 Va. App. 417, 470 S.E.2d 584, (1996)) did not require adherence to Va. Code § 18.2-267, when in reality Stacy only means that “prosecution” in Va. Code § 18.2-267 means “trial”. Unfortunately, one judge in a recent suppression motion that I pursued even considered the PBT evidence after the police officer misadvised my client that taking the PBT test could only help him, AND the judge refused for me to cross examine the police officer to determine which PBT equipment he used, to enable knowing whether it was equipment approved by the Virginia DFS. That judicial approach, in my view, absolutely contravened § 18.2-267. If I let myself get exasperated over this and every other judicial ruling that to me clearly counters the governing law, I will do no good for my client nor me. The de novo appeal option from Virginia general district court to Circuit Court can be expensive and risky for a criminal defendant, but at least that option is available. Also, my argument that does not today win with a particular judge, plants and waters a seed in the judge’s mind to possibly rule in my favor the next time on the same issue. Fairfax DUI lawyer Jonathan L. Katz has successfully defended hundreds of clients charged with DUI/DWI since 1991. Jon will be delighted to discuss your DUI, misdemeanor or felony case with you, through a confidential consultation scheduled through his staff at 703-383-1100.